Kathryn Barger, who was elected to replace Michael D. Antonovich as Los Angeles County Supervisor for the Fifth District, has joined the Metro Board, as has Janice Hahn, former member of the U.S. House of Representatives, who has replaced Don Knabe as Supervisor of the Fourth District. All five members of the Board of Supervisors sit on the 13-member Metro Board. Both Antonovich and Knabe were prohibited from running again for Supervisor due to term limits. Long Beach Mayor Robert Garcia has also been elected to the Metro Board, replacing Diane DuBois of Lakewood. And existing Board Member Ara Najarian, a Glendale City Council Member, has been re-elected to serve another four-year term on the Metro Board. He has served on the Board since 2006. 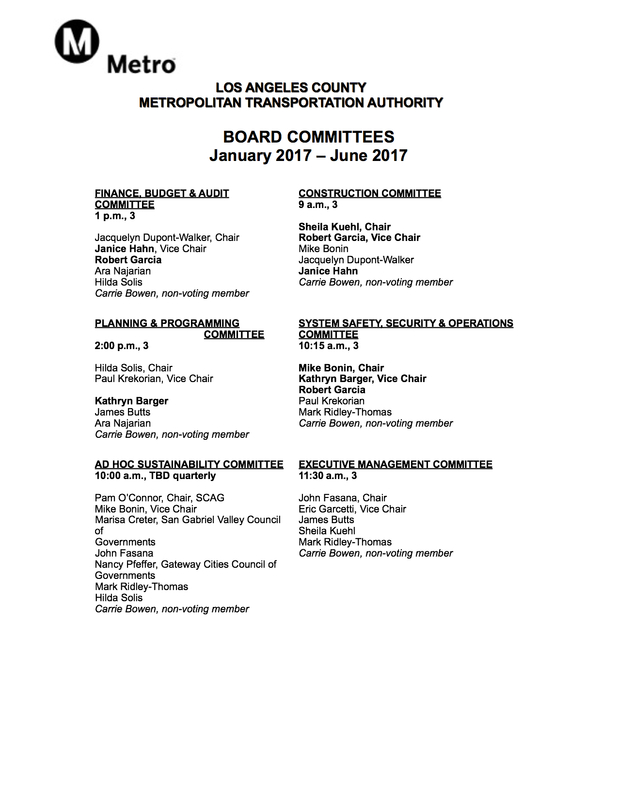 The 13-member Metro Board of Directors consisted of elected officials and their appointees from Los Angeles County. The Board makes many of the final decisions for the agency and serves as a way for the agency to be accountable to the public. 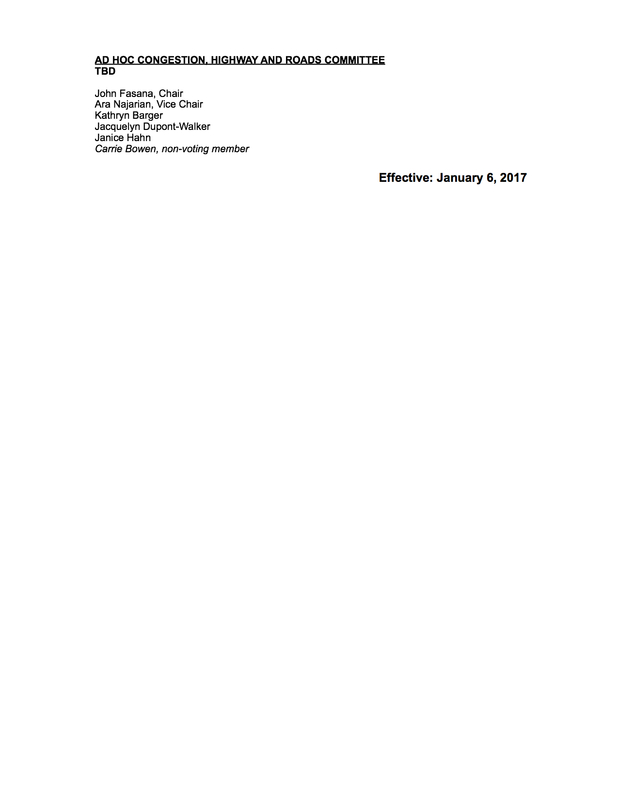 The full list of Board Members is here along with contact information.